Why it matters: We quite like LG’s Gram laptops, which focus on lightness and portability above all else, so it’s interesting to hear that the company will be unveiling two more entries in the series at next month’s CES event. The new models consist of the LG Gram 17, which, as you might imagine, comes with a 17-inch screen, though thanks to minimal bezels, the body is the same size as a 15.6-inch machine. Weighing in at 1.34 kgs, LG says it’s the lightest laptop with this screen size to hit the market. Specs-wise, the LG Gram 17 is the line’s most powerful device to date, featuring the "newest 8th Generation Intel Core processors," a 2,560 x 1,600 IPS screen, 8GB – 16GB of RAM, 256 – 512GB of M.2 storage, a 72Wh battery that’s said to be good for 19.5 hours use, and a 16:10 aspect ratio, which LG says is ideal for editing video and images. 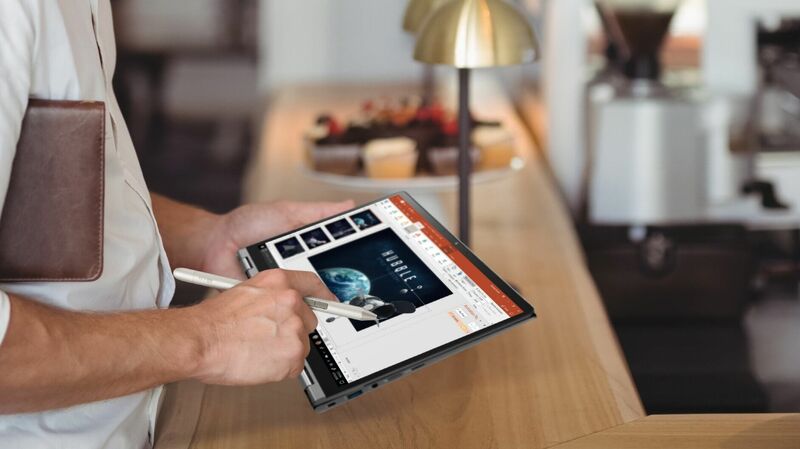 It also comes with Thunderbolt 3 ports, HDMI, microSD card slots, a Precision Glass Touchpad, DTS Headphone X audio support, and a fingerprint reader. As it’s not aimed at gamers, the GPU comes in the form of integrated Intel UHD Graphics. Next is the LG Gram 2-in-1, a 14-inch convertible with a 360-degree hinge. It comes with a Wacom AES 2.0 Pen with 4,096 pressure levels and tilt detection. There's also Corning Gorilla Glass 5 covering the Full HD, 16:9 display. 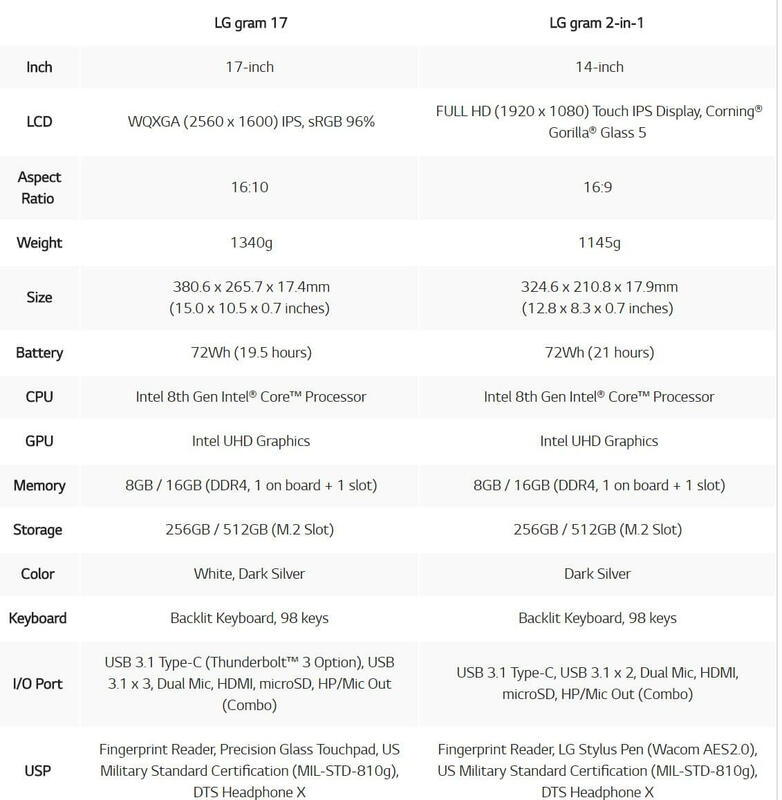 The rest of the specs match the LG Gram 17, though the battery is said to last even longer: 21 hours. A Best Buy leak earlier this month revealed that the LG Gram 17 would Cost $1,699, while the LG Gram 2-in-1 comes in at $1,499. We’ll find out more at CES.